There are no steadfast rules to composing a photograph, however there are a few well-used guidelines that can help to frame and enhance a scene. These rules work towards creating a natural balance in a photograph, leading the viewer's eye through the scene and drawing attention to the important part of the photo. They also help to explain why some photos just seem to work whilst others don't. One of these techniques is called the 'rule of thirds', which is outlined below. 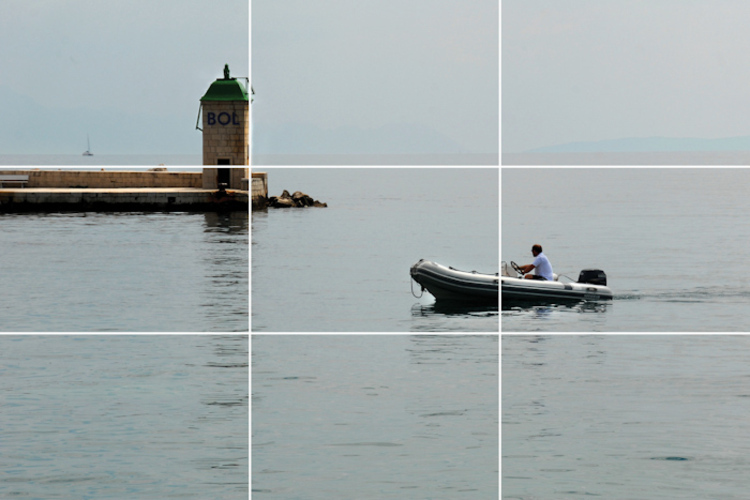 To work with the rule of thirds, imagine that there are two horizontal and two vertical lines dividing your photo into nine equal sections (see the photo below). You then need to align the most important elements in your scene to the points where the lines intersect or along the length of the lines. Choosing which of these lines or intersections to use can also make a big difference to the impact of your photo. Generally it is better to keep more empty space in front of the subject rather than behind it. 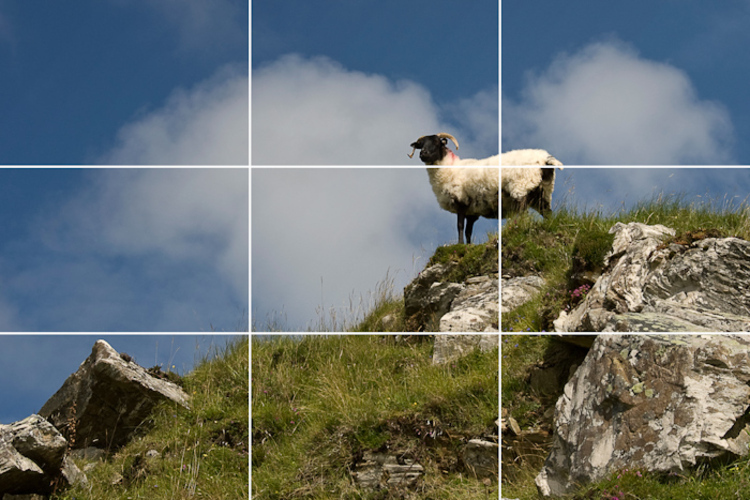 For example the photograph above shows more empty space in front of the sheep (in the direction it is facing) than there is behind it. The rule of thirds keeps the main subject of the photo off centre, which can lead to a more interesting shot. If there is not much happening in the rest of your photo, this can leave it feeling off-balance. You can try balancing the 'weight' of the photo by including another, less important object in this empty space. 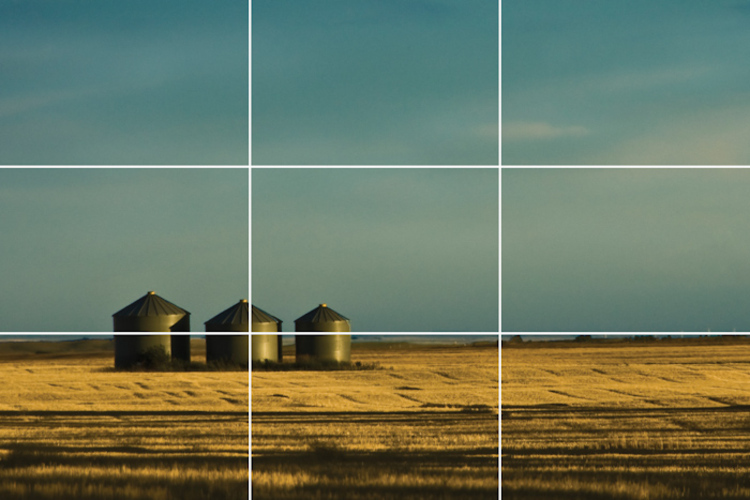 The rule of thirds can also help with placing the horizon in your photograph, by letting the horizon fall across either the top or bottom horizontal line. If the horizon runs along the bottom line, more importance is given to the sky in your photo, and if the horizon runs along the top horizontal line, then more importance is given to the ground. This often, but not always, gives better results than placing the horizon in the centre of your photo.